Laptops, laptops, laptops… we wake up here at SellBroke every Monday hip-deep-sideways thinking about laptops and what is out there for everyone’s needs. We spend countless hours pondering the needs of the people and the availability of high-end or gaming laptops that are somewhat affordable. This week, we are going, to begin with talking about the cheapest best gaming laptop that we could find, the Acer Predator with a GTX 1060 card. 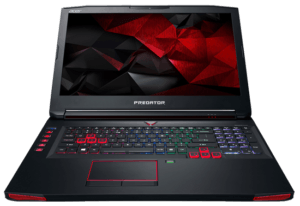 Is it worth it prices at $1,050 USD? You decide. 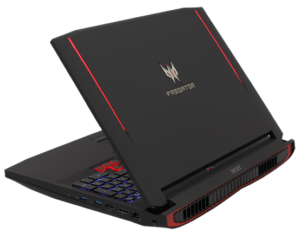 The Acer Helios 300 is the cheapest gaming laptop on the market with a 6GB GTX 1060. 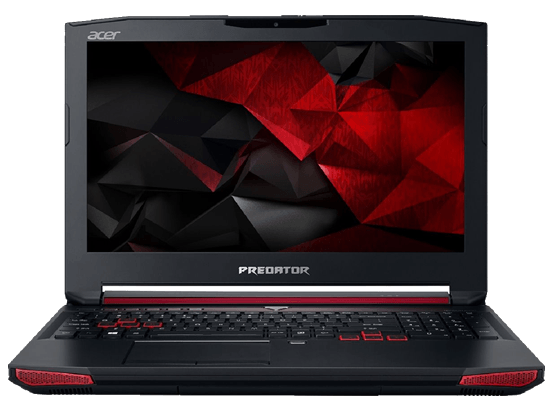 The strange thing here is it comes from Acer. The hardware is very powerful but the question I think people may be asking is: is it worth it? 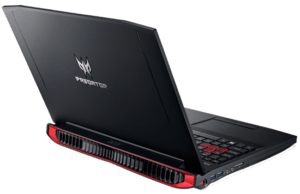 Maybe you’re wondering if you should purchase this type pf laptop versus something that’s a slightly less powerful, but a little bit cheaper. That’s why we are here. 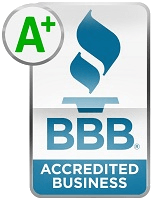 Hopefully, we can help you come to a reasonable conclusion that helps your needs. We are kind of deep in the product cycle for both the CPU and the GPU. We won’t go too much into detail about performance since they’ve been around for a while, but you should know it’s a Kaby Lake 7700HQ and a GTX 1060, so it’s going to crush most games. To be honest I thought maybe the fans would be loud because of the pricing but they ended up being quiet. The thermals, however, aren’t great. The temperatures are a little bit warm at around 50° C, nothing too bad and it doesn’t throttle at all in games, but I would like to lower temps regardless. For a 1080p we saw excellent frame rates with maxed settings ranging from 62 fps to 106 fps. So first, the good stuff. The build quality is surprisingly good. it measures 15.3″ x 10.5″ x 1″ and weighs 5.6-pounds, so it’s not the lightest out there by any means. 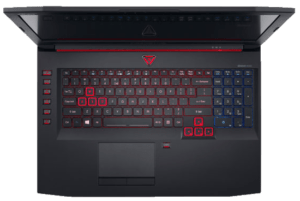 We got used to ultralight gaming laptops like Razer Blade 12.5 lately. But the Acer is a different story. It’s got a metal top panel and plastic everywhere else, and you’d think that it would have a lot of flex on the chassis, but it doesn’t. It’s really solid and even the screen and hinges are built well. It seems to me that they made some great material choices. It’s not particularly thin, and as already mentioned it’s pretty heavy. But it is durable and the down-firing speakers are ok. They are super clear and they lack bass, but most gamers use headsets so this shouldn’t really be too much of an issue. The port selection is pretty standard with this price point. There are three USB-As and a single USB-C which does not support Thunderbolt 3. Also, it has an Ethernet, HDMI and an SD card slot. If you’re interested in upgrading the internals there are two doors on the bottom. One door lets you add a 2.5″ SATA drive, and then the other is for the two RAM slots to add to your 16GB that’s already there. As for the rest of the case, it isn’t as easy to remove and if you want to replace the SSD you will have to get in there pretty deep, and since the SSD included isn’t super fast, it is something you may consider down the road one day. The keyboard id full-sized and does have a 10-key number pad. The feel is ok but the right-side shift key is oddly placed in the middle of the cluster. This made for some typos for me, but I guess with some time that would pass. The feedback is a little spongy but tying was still on point. 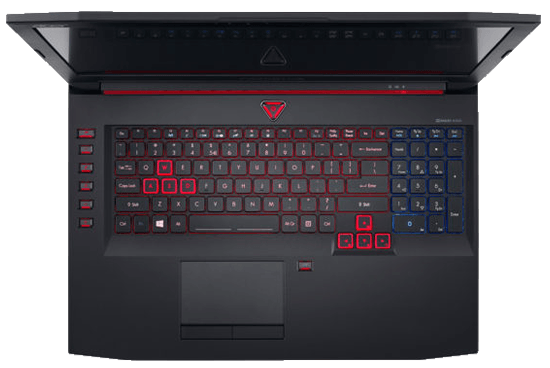 The WASD keys are outlined in red as seen on most gaming tops. The trackpad uses Windows Precision Drivers and has great tracking. The clicking is a little bit stiff. you have to press down harder than normal to register a click, but it’s good otherwise, and if you’re a tapper and not a clicker, it’s actually better. There are a few things that we don’t like, like the temperature as mentioned earlier. It’s not that they’re super hot but we wished it ran a bit cooler. As mentioned it is difficult to get into the internals of this device. So if there is any amount of dust build up in the fans, it might be hard to clean them out. Sometimes you can just blow under presser through the vents. It usually works well getting the dust out. Another thumbs down is the battery life isn’t that great. It’s a 48-watt hour battery pack that only gets about 4 hours on medium screen brightness. That’s passable given the price point of the system. The biggest drawback for us, and it’s a big one for us, is the screen. It’s a 1080p non-touch screen unlike Lenovo Y700 laptop and the color gamut is super lousy according to the measurements of 70% of RGB and 52% of Adobe RGB. Visually, it’s not too bad, but the numbers read terribly. The biggest factor though it the lack of screen brightness. If you’re using it in bright settings you will have to constantly adjust the screen in order to see. We know the screen is where a lot of companies tend to cheap out. They are trying to keep a machine affordable, and it feels like that’s what’s been done here. You’re still getting an amazingly powerful device for the money. 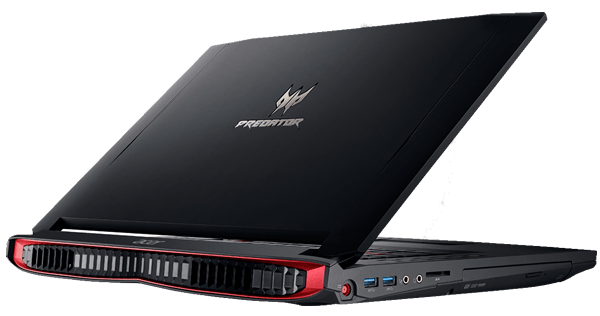 A GTX 1060 is almost overkill for 1080p games on laptops because we’re capped at the 60fps one he screens. I guess the purchase decision would boil down to the type of games you play. If you’re a person that plays a lot of kind of mid-tier triple-a shooters, those are going to last you a couple years with great frame rates. And you’ll save a little bit of money. But if you’re some that play more open-world games like GTA 5, Witcher 3, then go for the GTX 1060 because that’s what it was built for.